There are some musical tracks that—even though they’re distinct on the CD (or sold as separate tracks online)—are meant to be played together. As examples, there are a number of such Pink Floyd tracks, Queen’s We Will Rock You and We are the Champions, and Jackson Browne’s The Load Out and Stay. I'm positive iTunes used to offer the ability to 'join' two tracks such that they played as one—even for stuff in your library already. I know you can still do this while ripping a CD, but is there no way to do so for other stuff already in your library? I only had a few such tracks I wanted to combine, so duplicating song data and using an external tool seemed like overkill, but it seemed like the only way. Then Chris Jennings came up with a solution that works for me (with some caveats…). (b) Why is downloaded file much larger? Why are there two? iTunes is showing both 1080p and 720p versions of each movie (which also explains the size differences), so you can choose which to sync to an iOS device—you’ll save a bit of space with the 720p versions. That makes sense, though the way it’s handled seems quite odd and visually annoying. To prevent this from happening in the future, iTunes support suggested I open iTunes’ prefs, go to Downloads, and make sure only the “Download full-size HD videos” box is checked (assuming you want HD). My iTunes had both that and the “Download high-quality SD videos” box checked, so I unchecked the SD box. I don’t really understand how this will prevent the dupes from showing on future purchases, because my dupes are primarily all in the cloud, as noted by their icons, so I wouldn’t think this setting would help. But I won’t know until I purchase my next movie—changing the setting had no effect on existing duplicates. On the same day that Apple announced the new iPhones and such, they also released iTunes 12.7, which has a number of minor changes, and one very major change (here’s a nice summary). The major change is the removal of pretty much anything related to iOS apps: You can’t sync apps, you can’t browse the store, and you can’t reorder your iOS device’s app icons. As someone who is Mac-bound for the majority of the day, this is a horrible change, and I absolutely hate it. Apple does provide one workaround, the ability to manually sync data from your computer to your iOS device. 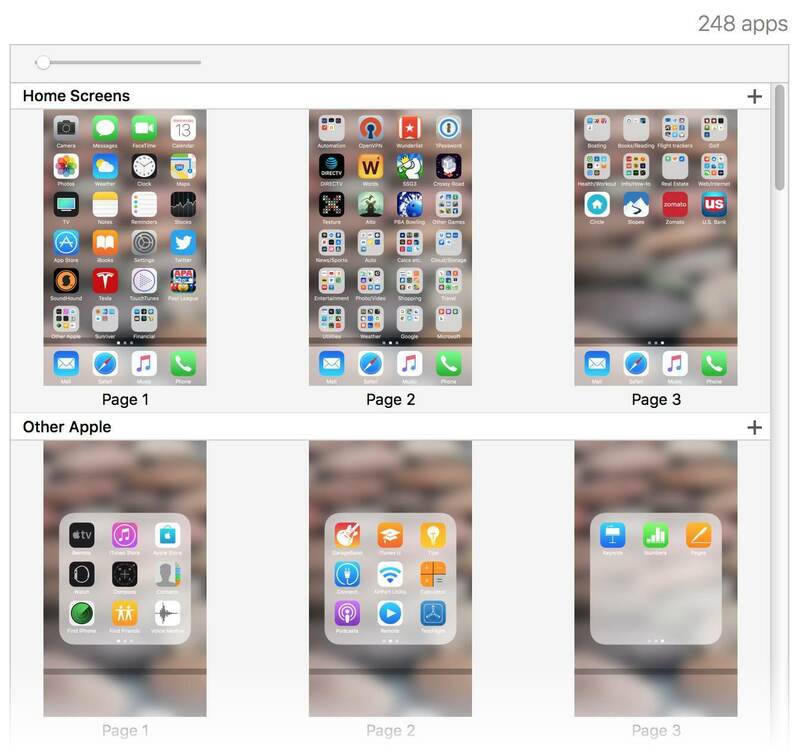 But this method isn’t really user friendly, and offers almost nothing in the way of actual app management. Further, it doesn’t let you rearrange your apps, which is one of the most awful tedious tasks one can undertake on an iOS device. Enter Apple Configurator 2, a free Mac app that Apple says “makes it easy to deploy iPad, iphone, iPod touch, and Apple TV devices in your school or business.” But here’s a secret—shhhhhh!—you don’t have to be a school or business to use Configurator, nor do you have to use it for multiple devices—it works just fine for a single user with a single iOS device. And as an added bonus, it does some things that iTunes 12.6 and earlier never did. Easily view (customizable) device info for multiple devices at once. See a summary screen for any given device, containing lots of useful tidbits about the device. 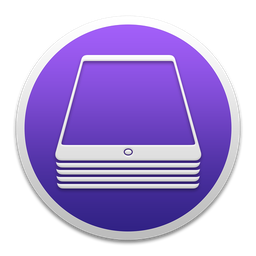 Rearrange icons on any device’s screens. Change the wallpaper on any device. View info on all installed apps, and sort by name or seller or genre, etc. Install apps from either purchase history or from a folder on my Mac. Install configuration and provisioning profiles (for beta software, etc.). Install documents and assign them to applications. Create backups (open or encrypted) and restore them. But no longer, because Apple knows better, right? Developers, I think, will hate this change. Why? Because not only can users not browse apps in iTunes, they can’t purchase apps on a Mac or a PC at all! I spend all day at my desk, on my Mac. When I read about an interesting iOS app, I can see its web page, and then jump right into iTunes and buy it. But as Kirk McElhearn notes, this is no longer possible (temporary issue, maybe?). As a developer, losing access to anyone browsing from a non-iOS device would be deeply troubling. But the above issues are only part of the reason why the removal of iOS apps from iTunes bothers me. An equally concerting issue is this: Browsing and buying apps on an iPhone is an absolutely horrid experience. Ever want to grab the cover art for some album? Or have you ever wanted the full-size icon from an iOS app? Or the cover image from a movie or TV show? A podcast’s icon? Ben Dodson hosts an excellent web-based tool that lets you do all that and more: The iTunes Artwork Finder. Usage is about as simple as it gets: Pick a category, enter your search term, set the geographical region, and click Get the artwork. Note that this only works for things available from the iTunes Store in the specified region, so you can’t use it to find cover art for that digitized copy of some obscure record you found at an underground music store in New York City back in 1973. Also note that if you have your own web site, you can host your own artwork finder, as Ben has made the code available for all. I wouldn’t recommend making it publicly available, though, unless you have bandwidth to spare—a single search for “Friends,” for instance, returned about 25 high-resolution images. Download the zipped archive from GitHub. Create a new folder on your server. I called mine getart. Upload the two files (php, js) from the archive into the folder. Add basic HTML tags (html, head, body) to the stub of HTML shown on the GitHub page, and save it as index.html in the same folder. If you like fancy and have time to spend, go ahead and pretty it up with CSS and layout. I just left it bare. That’s all there is to it; you can now look up artwork by loading http://yourdomain/getart (or whatever you called it) in your fave browser. For those who aren’t aware, Keyboard Maestro is a macro-creation tool, designed to help you automate routine tasks. But its powers let you do some really cool stuff, not all of which could be classified as automation. 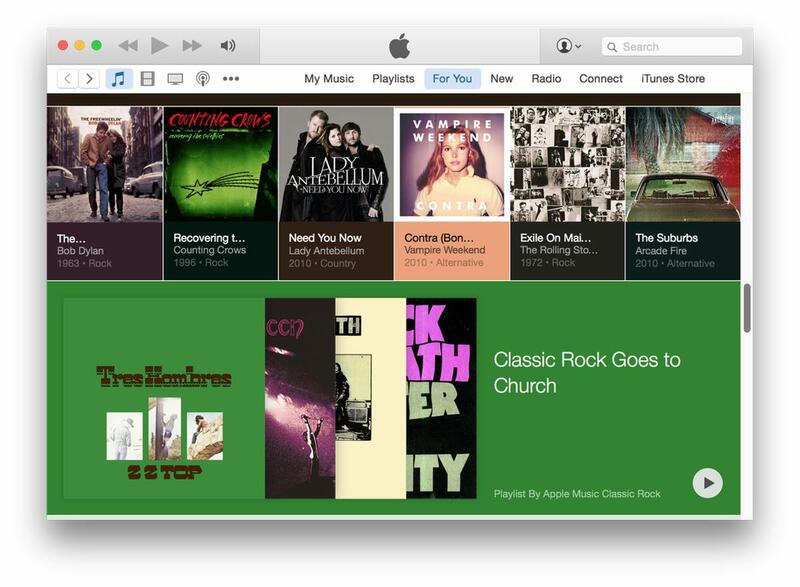 Such is the case with this project: Creating an iTunes song info pop-up window. There are lots of apps out there—including Many Tricks own Butler—that can do this for you, and my Keyboard Maestro version is worse than most of those in many respects. However, I wanted to teach myself more about Keyboard Maestro, and this seemed like a good project with which to do so. My window is larger by design, so I can have somewhat more visible album art (aging eyes). And I can’t decide on a background color or gradient, so it keeps changing—this was the look when I snapped the screenshot, but it’s since changed again. 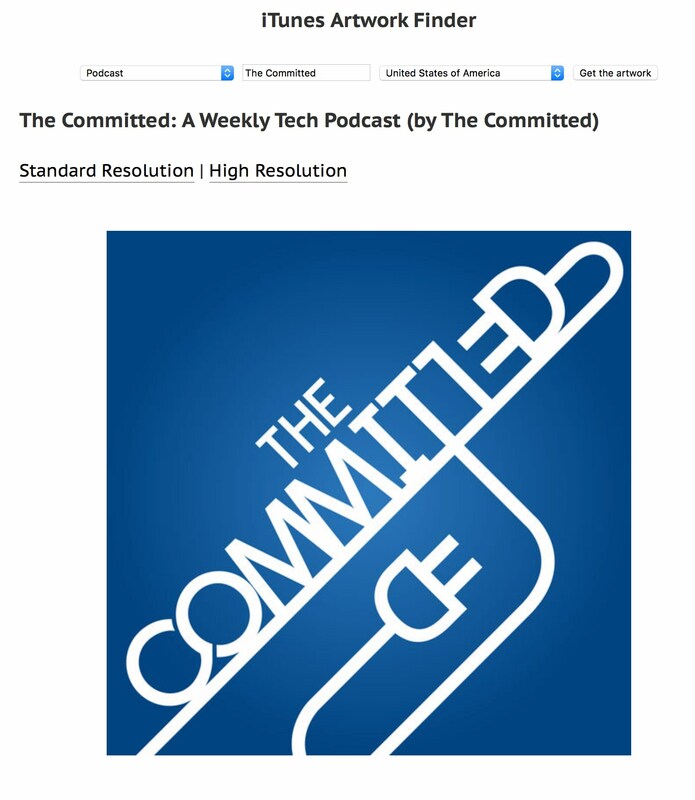 After hearing my The Committed podcast cohosts rave about Plex (a free media server), I thought I’d give it another shot: I’d tried a few months back, but because of the way I store my personal videos (using our own Usher app), it was going to be a big migration project, and I just never got into it. So today, I resolved to try again. And today, I’m giving up again. I’ve spent the last few hours fighting Plex, and despite the awesomeness of the streaming (it *is* awesome), it’s just not worth the aggravation in configuration and setup—to me, of course. Plenty of others find it works just fine. There are any number of other radio services out there – Pandora, Spotify, etc. But I wanted something that existed in iTunes, as I didn’t want to have to run another app, nor (shudder) use my browser as a radio station front end. Then I remembered that iTunes has a huge—as in tens of thousands—assortment of Internet Radio stations. I hadn’t looked at internet radio in a long time, as I’d been quite happy with my selection of iTunes Radio stations. But Apple’s move inspired me to take another look, and so far, I like what I’ve found. If you’d like to explore the world of Internet Radio in iTunes, here are a few tips to ease the exploration. What I wanted to do, as I looked at this wide assortment of music, was just hit the Play button, and let iTunes navigate the entire selection. But I couldn’t, because iTunes’ playback buttons are all grayed out. Argh! The only way to listen to these selections is one playlist at a time. But that’s not how I listen to music. I enjoy a broad selection of music across many genres, and very rarely do I listen solely to one artist, one album, or even one genre. Why? Because when I do, I wind up getting burned out on that artist, album, or genre, such that I don’t want to hear it again for a while. Instead, I just play music, paying no attention to genre, artist, or album. And once I start iTunes playing, it’s typically playing all day without any interaction from me. But if I want to use Apple Music’s For Me, I’ll have to return to iTunes to pick new selections as each selection finishes. Honestly, for something that’s background as I work, that’s too much effort. In the end, as much as I’d like to use the For Me feature in Apple Music, I just can’t see myself doing it unless Apple adds a Play All (random, of course) button. Please?